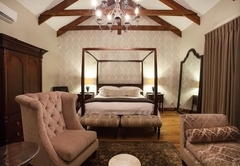 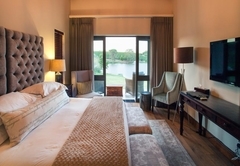 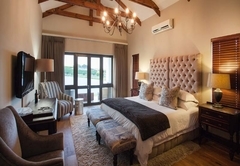 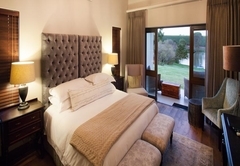 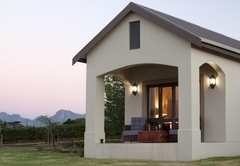 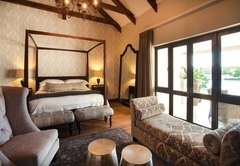 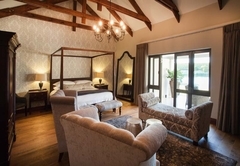 Under Oaks The Vineyard Suites is a 4 star graded guest house offering Paarl accommodation in 8 guest rooms. 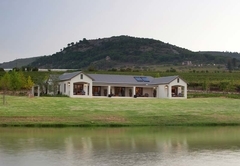 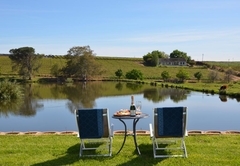 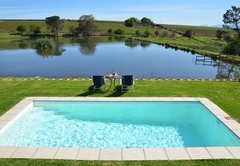 The Vineyard Suites on Under Oaks is a 4 Star graded Country House nestled in the middle of the vineyards with magnificent lawns leading down to a farm dam. 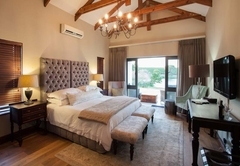 It is newly built and exclusively limited to eight spacious en-suite rooms that are individually decorated and all feature a private patio with breath-taking views of the Boland Mountains. 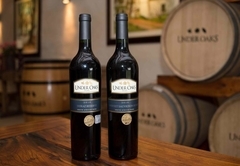 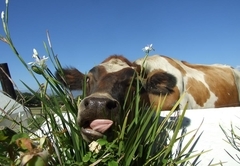 Under Oaks is situated on the outskirts of Paarl on a working farm where award winning wines and export fruit are produced. 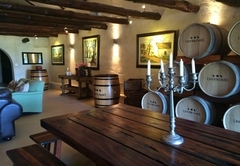 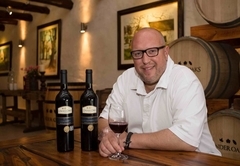 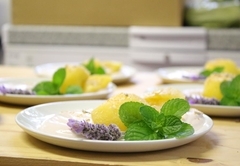 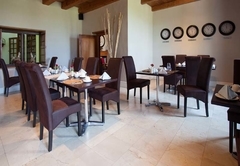 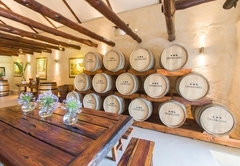 Housed in the original Jonkmanshuis is a superb pizzeria and wine tasting facility where you can tickle the taste buds. 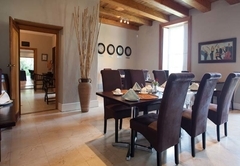 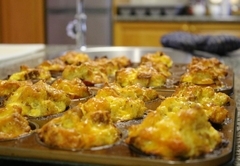 An extensive Continental breakfast is served in the Manor House. 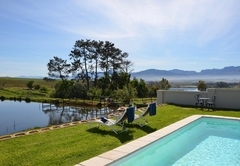 Stellenbosch, Cape Town and Franschhoek are all within easy reach and we are surrounded by world-class golf courses. 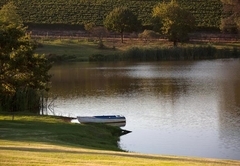 Response timeUnder Oaks The Vineyard Suites typically responds to requests in 5-10 minutes.